Launching yet another attack on the Narendra Modi-led central government, the Opposition on Tuesday revealed a "video proof" to show how "demonetisation had benefited only the BJP". 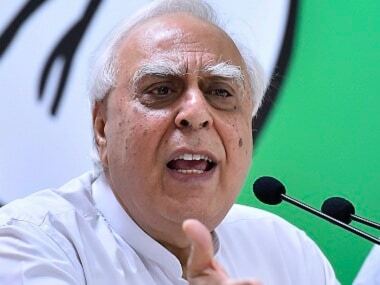 Addressing a press conference at the Constitutional Club in New Delhi, senior Congress leader Kapil Sibal said note ban was initiated with an ulterior motive to rob the poor. An 18-minute-long clip was shown in which an alleged BJP worker is heard trying to exchange crores of old currency notes at a commission of 40 percent in Ahmedabad after the 31 December, 2016 deadline. Firstpost could not independently verify the veracity of the video or the Congress' claim. The man visible in the grainy clip is identified as 'BJP' in the subtitles. The amount of money exchanged is Rs five crore according to the conversation between the men in the video and a commentary that runs through the footage. However, Sibal did not provide any other proof to support his claims. 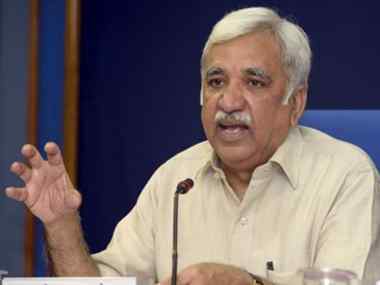 Sibal accused the government of misusing government machinery, including police and banks to work in favour of the BJP. After sharing the video, Sibal hit out at the BJP for 'looting' people's money. He also took a dig at Prime Minister Narendra Modi for adding ‘chowkidar’ as a prefix to his name. “After watching this video clip, the country has to decide who is chor (thief) and who is chowkidar (guard)? Who is a patriot and who is an anti-national?” the Congress leader said. 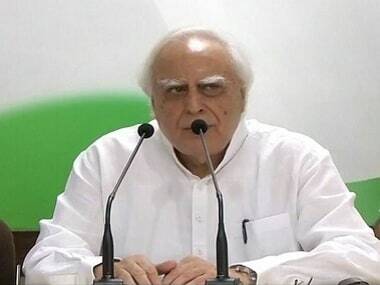 "There is no bigger treason than stealing from the country's treasury and routing it towards the party," Sibal added. He also hinted at how exchanges of money could not have happened without the involvement of the ruling party, banks and the police. “Our industries have suffered heavy losses. Our country has to backtrack on the economic path, and crores of Indian youth had to lose jobs due to demonetisation of Rs 500 and Rs 1000 currency notes on November 8, 2016,” senior Congress leader and Rajya Sabha MP Ghulam Nabi Azad said. Meanwhile, finance minister Arun Jaitley hit back, calling the video fake. ANI reported that the purported tape cited by Sibal was hosted by a website tnn.world. A reverse lookup of the domain using online tools like ‘Go Daddy’ and ‘Whois,’ which reveal owners of websites, showed that the website was registered in the United Kingdom. Other leaders of the opposition parties present at the press conference included Sharad Yadav from Loktantrik Janata Dal, Hemant Soren of Jharkhand Mukti Morcha, Manoj Jha from Rashtriya Janata Dal, Ahmed Patel, Mallikarjun Kharge from the Congress.